78018 is a B.R. Standard 2-6-0 class 2MT tender locomotive which was running tender first Between Sheringham and Weybourne with the sea in the background on Saturday 21st April 2018. B.R. 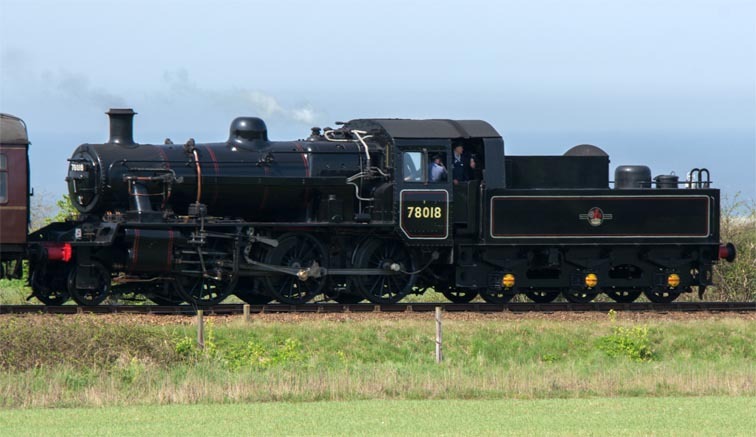 Standard 2-6-0 class 2MT 2-6-0 78018 and 2-6-0 76084 Between Sheringham and Weybourne on Saturday 21st April 2018. 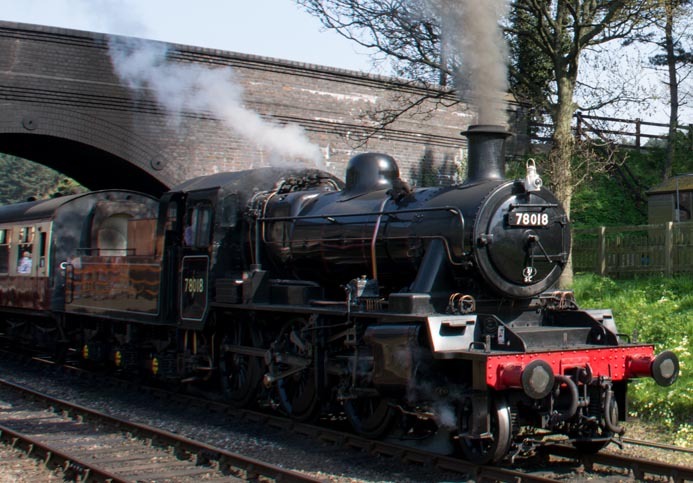 2-6-0 78018 in Weybourne station with a train to Holt on Saturday 21st April 2018. 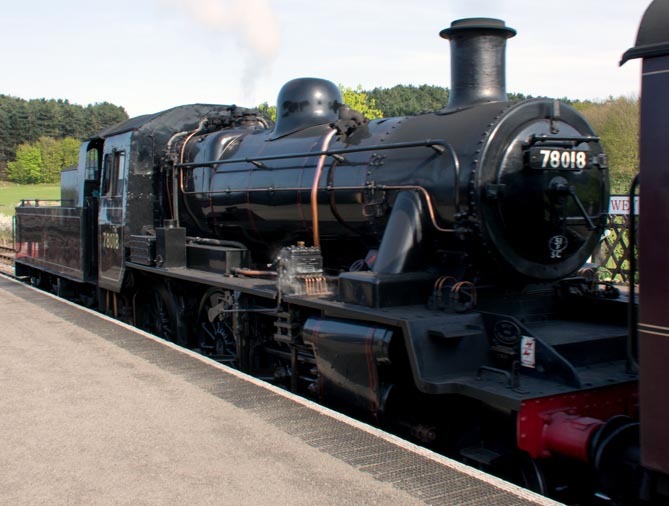 2-6-0 78018 in Weybourne staion with a Sheringham train on Saturday 21st April 2018. 78018 is a B.R. Standard 2-6-0 class 2MT tender locomotive that was built in 1953 at Darlington North Road Works . It is now based at The Great Central Railway.